Honestly I am very bad about recognising when creative burnout is looming upon me – or even when I’ve full on driven myself into it. When I have trouble creating, often my first impulse is to focus harder, to try and figure it out, start a new project or bounce to another one in progress. . . Anything but ‘recognise there might be a reason for this and take a break’, really. That tends to mean I don’t recognise I’m getting burnt out until I’m fully ensnared in frustrating, exhausting, tear-worthy inability to dredge out words. I mean, layering yet more pressure on top of already failing motivation doesn’t help? Whaaa? 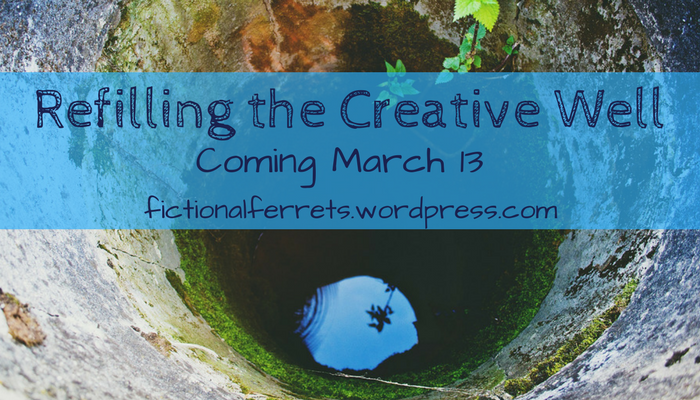 Refilling the Creative Well – Next Series! Welcome to our next series! Did you miss us? When we sat down to our business meeting last month we all decided this was probably a good series for kicking off 2018. After all, we’re about done recuperating from NaNoWriMo, the Christmas holidays, and the winter doldrums, and it’s time to get back in the flow of things. So how do you refill that creative well when you’re getting burned out? We all hit burnout, whether it’s thanks to life obstacles or overwork. No matter who you are or what you do in life you can hit burnout, but creatives seem to hit this especially hard. Stay tuned! Next week we’ll start revealing our own strategies and we hope you’ll join in on the conversation and tell us yours.